1889 S.F. Hess & Co. (N332) Jack Havlin. S.F. 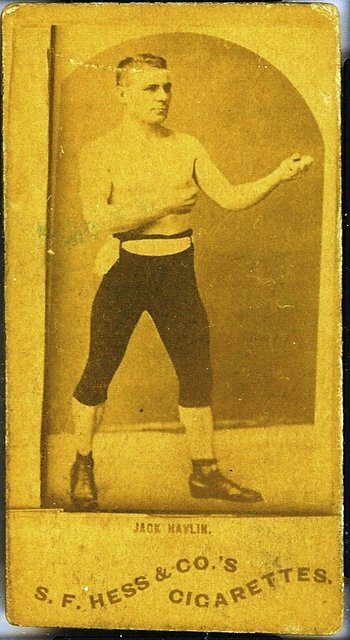 Hess, a Rochester, NY company, issued a very rare series consisting of an unknown number of blank-backed photographic cards of boxers and other celebrities in a format very similar to N174. The issue is so rare that it is meaningless to speak of the 80+ known cards as a set.